Our Basic Allergy Test is your starting point to a better you. This 25 food item test will help you identify the most common food allergies. The blood analysis includes: Wheat, Peanut, Egg White, Rice and Meat covering such allergies as wheat, nuts and egg white. A full list of the 25 food items can be found in the details box further down. Please note: This test does not test for intolerances. Our Basic Allergy test uses the latest diagnostic technology to analyse your blood sample against 25 of the most common allergens including milk, egg, meat and a variety of nuts. For a full list, click on the ‘Items We Test For’ tab. These easy-to-administer kits are available for personal use and we provide a step-by-step video guide allowing you to carry out the test on yourself or your family in the comfort of your own home. This test is exclusively for indigestible allergens which could be causing you reactions like: sneezing, coughing, itchy mouth/throat, watering eyes, wheezing or chest tightness, rashes, hives or swelling, nausea, vomiting or diarrhoea, In extreme cases: anaphylaxis. 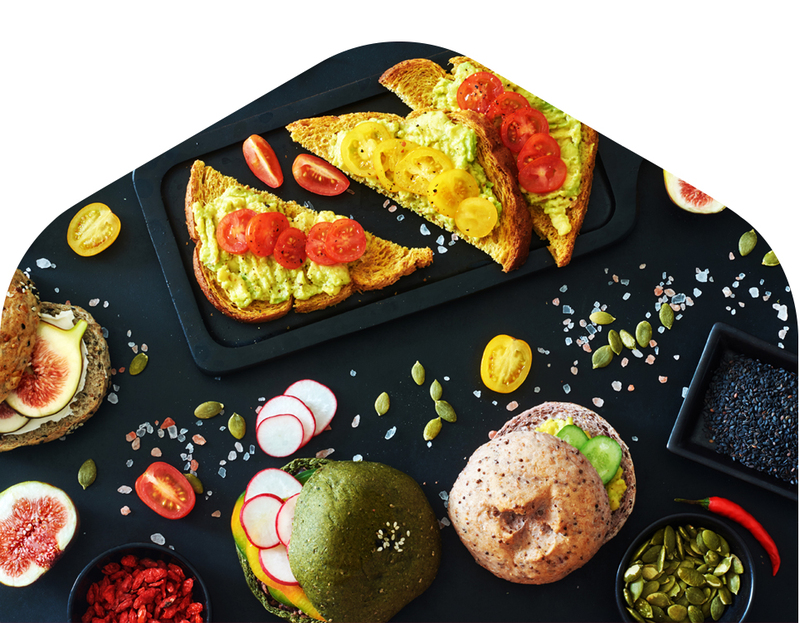 Your bespoke comprehensive report explains the results and gives certified nutritional advice including recommendations for eliminating items and suggested substitute foods, which is key towards optimising your diet and your health. 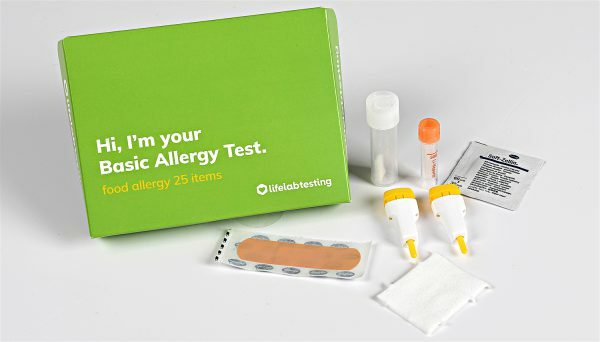 Once purchased, the allergy kit is sent immediately to the address provided and contains instructions on how to take your sample and a freepost return envelope to ensure your test gets back to us quickly. 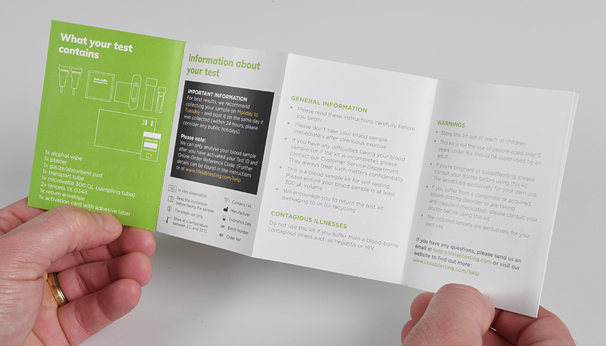 We guarantee to have your results ready within 7 days of receiving your sample. The Basic Allergy Test utilises high-powered equipment to examine the plasma (the liquid component of blood) and gather your data. Our lab technicians then analyse the reaction of your IgE antibodies on the 25 foods. 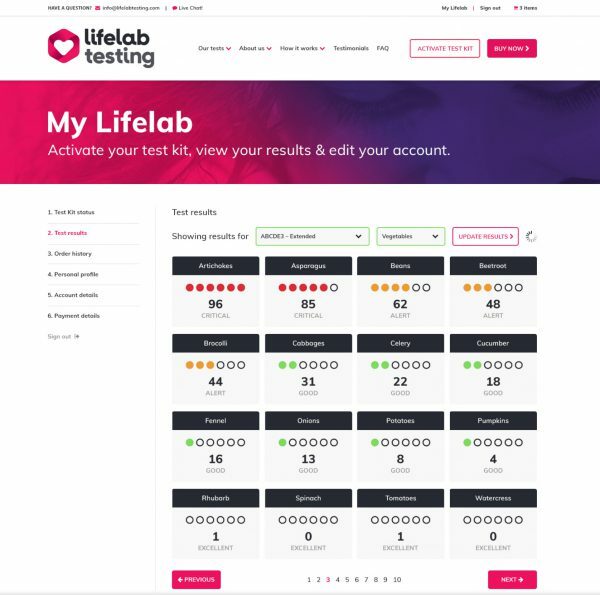 Lifelab Testing has a customer service team available 24-hours a day, Monday to Friday to help you with any questions you may have, and we have a nutritionally trained team to ensure you’re completely satisfied. Why take a Basic Allergy Test? Our Basic Allergy Test is a great starting point for you to identify some of the more common food allergies. This test analyses 25 food items which include Wheat, Peanut, Egg White, Rice and Meat. You can see the full list of 25 food items on items we test for section above. Our Lifelab Testing™ team can provide unlimited support and advice. You can speak to them on the phone or via live chat. Disclaimer: Lifelab Testing™ define allergy as a specific IgE reaction and intolerance as a specific IgG4 reaction. 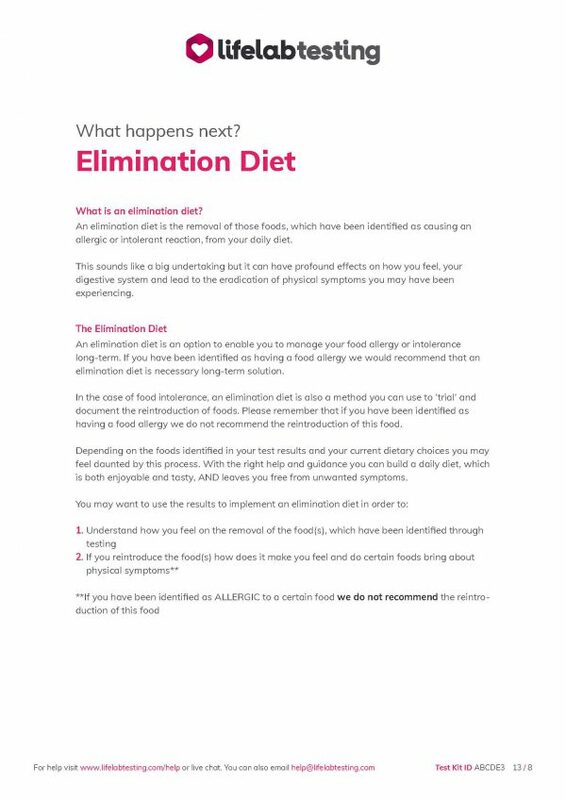 Our information is intended to provide nutritional advice to optimise your diet. Always seek the advice of your doctor or other qualified health provider if you have a medical condition or with any questions you may have regarding a medical condition and/or medical symptoms. Never disregard professional medical advice or delay in seeking it because of something you have read on this website. All probable or possible diagnoses generated by the test or this website need to be discussed and confirmed with a qualified medical practitioner.